With a total suspension span lenght of 8,344 feet from anchor block to anchor block, the Mackinac Bridge is the longest total suspension bridge in the world. It surpasses the Golden Gate Bridge, the Verranzano-Narrows Bridge, and the Humber Bridge in England, even with their longer center spans. Every phase of the construction of the mackinac Bridge was photographed. The pictures in this book, selected from 3,000 black-and-white photos, document important stages of the monumental undertaking. Captions detail the procedures used during construction. 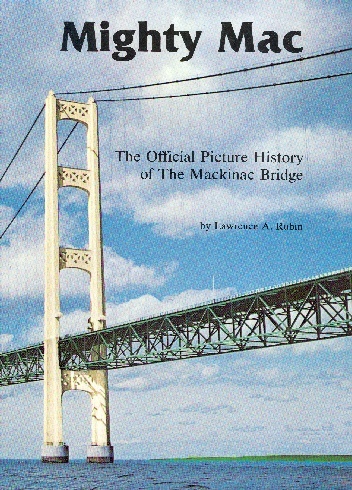 The result is a volume which captures the stuggles and the hardships, as well as the determination and the pride of the men who labored to build Mighty Mac.